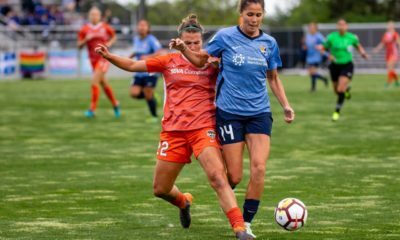 Also in today’s roundup, Chile, Colombia and Brazil atop South American qualifying, Amy Rodriguez is removed from the NWSL injury report ahead of Utah’s home opener, and Breakers season ticket holders get word of refund process from NWSL. 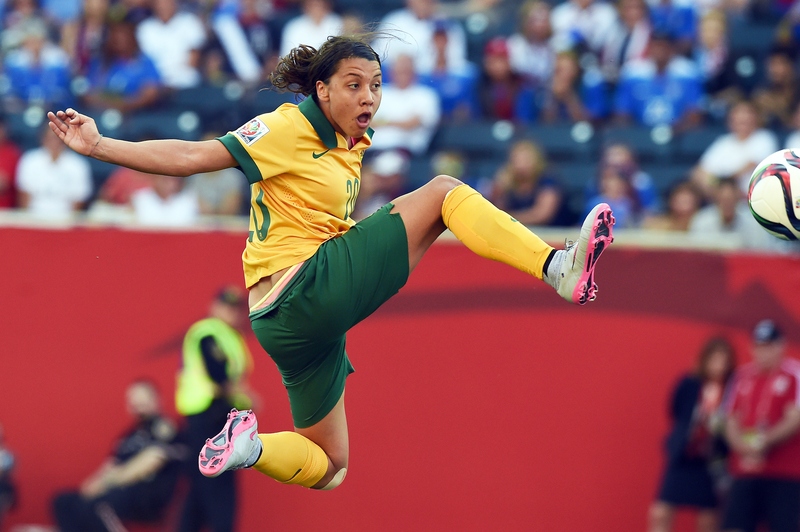 Japan 1-1 Australia: In dramatic late-game fashion, Sam Kerr rescued the Matildas, who were on the brink of exit from the AFC Women’s Asian Cup, with an 86th-minute finish to tie the game, 1-1. With that point, the Matildas were able to secure the top spot in Group B, giving them not only a spot in the semifinals of the Women’s Asian Cup, but also a berth to the World Cup. Japan also locked in a spot in the semifinals and a World Cup berth with the tie. Japan opened scoring in the 63rd minute thanks to Mizuho Sakaguchi, but that lead was later closed thanks to Kerr’s late-game heroics when she capitalized on a loose ball inside the six and fired it in on goal on the turn. Australia will take on Thailand, followed by China taking on Japan in the semifinals of the qualifying tournament. Korea Republic 4-0 Vietnam: Korea Republic trounced Vietnam by the score of 4-0 in their final match of Group B play. The win for Korea Republic gave them five points, tying them in points with Australia and Japan. However, due to the head-to-head tiebreaker, Korea Republic was ousted from the semifinals. Korea Republic will take on the Philippines in a fifth place playoff for World Cup qualification. Chile 5-0 Peru: Chile took home their second win of Copa America Femenina after defeating Peru 5-0 in Group A action to round out group play for both teams. 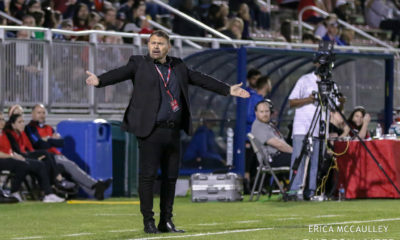 The Washington Spirit’s Yanara Aedo opened scoring in the 29th minute to get Chile on the board, while Yesenia Lopez notched a second 10 minutes later to give them a 2-0 advantage at the half. Once the second half began, the scoring floodgates opened. Francisca Lara put one away in the 63rd minute, followed only three minutes later by Aedo’s second of the day. Maria Jose Rojas’ 86th-minute goal rounded out scoring for the team and helped secure their big win. With two wins and two ties through four games, Chile finished the group stage in second place in Group A with eight points, behind Colombia with 10 points. They are set to advance out of the group along with Colombia. 2️⃣ more goals for @YanaraJudo tonight as Chile stormed past Peru 5-0 to finish off #CopaAmericaFemenina group play! Paraguay 2-1 Uruguay: In the earlier Group A game yesterday, Paraguay took home the win against Uruguay, 2-1. Uruguay opened scoring early as Sindy Ramirez put one in for her country in the opening minute of play. 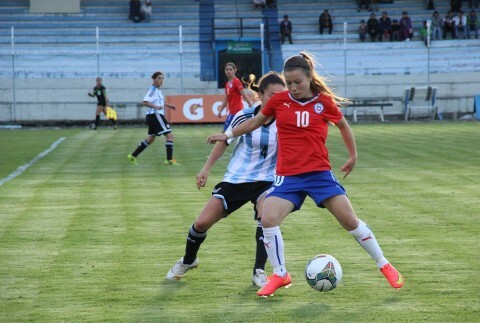 Paraguay equalized a little before the half thanks to Jessica Martinez in the 37th minute. The game winner for Paraguay didn’t come until second-half stoppage time when Amanda Peralta finished in the 92nd minute giving Paraguay the 2-1 lead as the final whistle blew. Despite the win, Paraguay rounded out group A play with seven points, finishing in third place. Uruguay was not able to capture a win in the group stage and finished with one point, in fourth place. Both teams were eliminated from moving on in the tournament. Later today, Group B action will round out with Argentina taking on Venezuela. Winner of this match will join Chile, Colombia and Brazil in advancing to the final round of South American World Cup qualifying. The last game of group play will take place later today with Brazil taking on Bolivia. 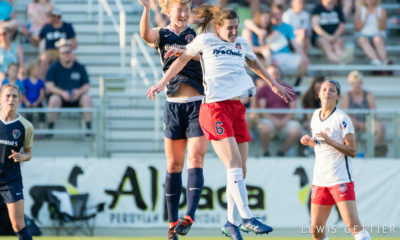 Amy Rodriguez of Utah Royals FC has been removed from this week’s edition of the NWSL Injury Report after being on the 45-day disabled list and being out for the first two week of this season after tearing her ACL in last year’s FCKC home opener. 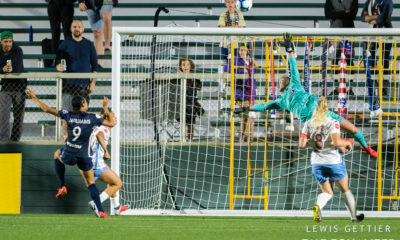 Rodriguez will be available for the Royals in their sold out home opener when they welcome the Chicago Red Stars to Rio Tinto Stadium on Saturday afternoon. 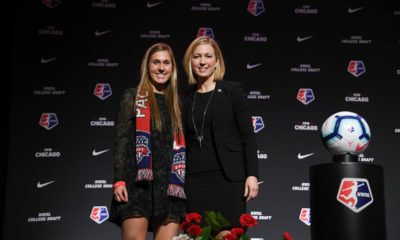 The Red Stars will also be welcoming back forward Yuki Nagasato, who missed the first two weeks with a left hamstring strain and has also been removed from the injury report. Tobin Heath, Kelley O’Hara and Sam Mewis have all been upgraded to questionable in this week’s report. When the #NWSL injury report comes out and A-Rod isn’t listed! 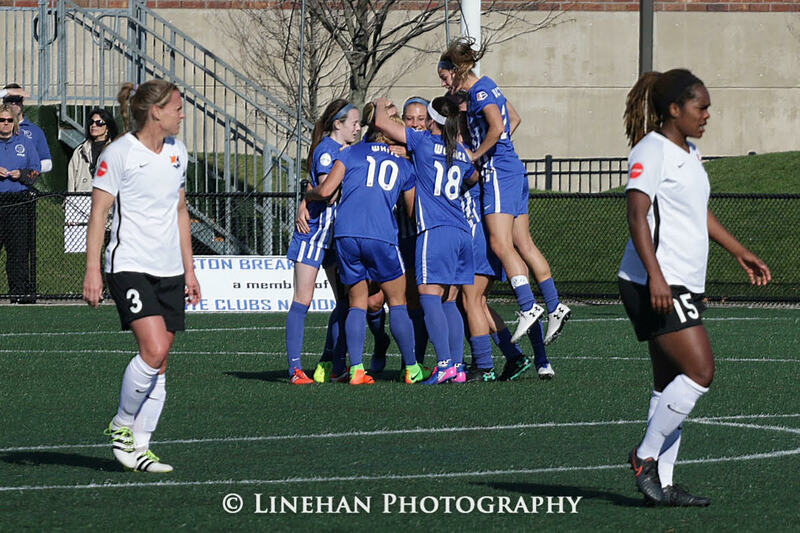 Today, the NWSL announced that the League will be refunding 2018 Boston Breakers season ticket holders and registered Breakers camp participants. 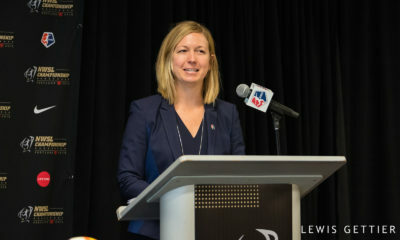 The NWSL is working with Garden City Group, LLC to oversee the refund process.